On our William Arthur Heavy Gilt Edge Royalty Wedding Invitation the scrolls are subtle and traditional, adding a delicate refinement to complement the custom, gilt edged, heavy weight paper. 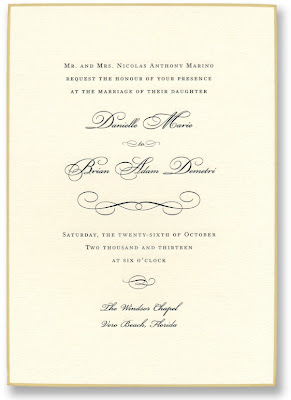 This style is reminiscent of William + Kate's royal wedding invitation that was sent out to guests just a year ago. It's pure understated elegance. 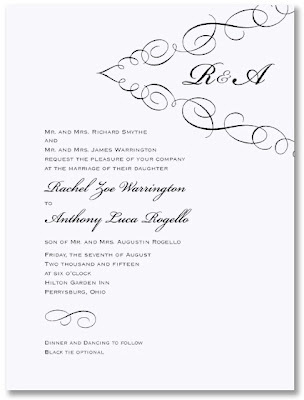 Our Truly Weddings by William Arthur White Diamond Scroll Invitation features a script duogram, nestled within a diamond-shaped scroll pattern. The left-justification of the invitation's copy adds to Diamond Scroll's modern, yet romantic feel and makes it suitable for both day and evening weddings. This Style Me Pretty by William Arthur Square Vintage Swirl Bordered Invitation features a swirling border that frames all of the event details, as well as the beautiful mix of typestyles. 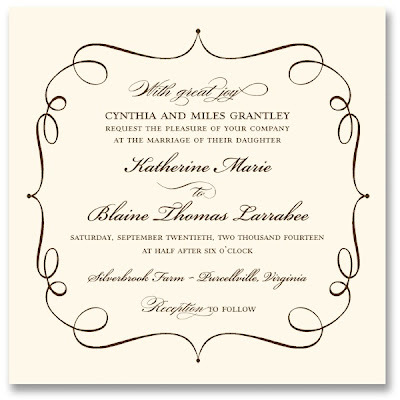 Wedding invitations set the tone for your celebration, and this invitation let's wedding guests know that they're in for an elegant, and fun wedding celebration. 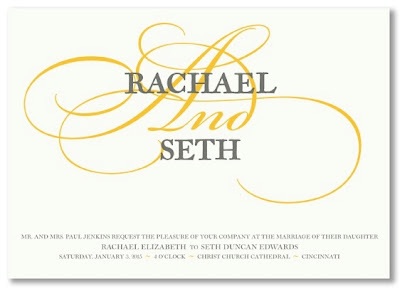 Our Vera Wang Swash Wedding Invitation features bold, sweeping swashes within a dramatic "And"— here shown in yellow, but available in a variety of ink colors. This striking invitation makes a vibrant, yet elegant statement. What is your swash style?